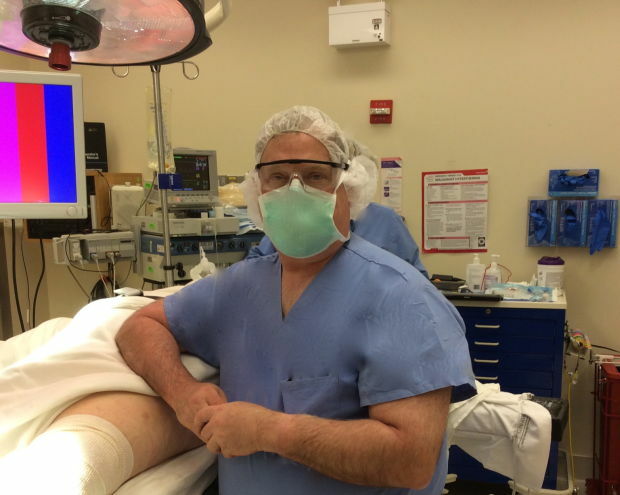 Dr. Joseph Hecht, Orthopaedic Surgeon, featured in Northwest Times of Indiana - Dr. Joseph D. Hecht M.D. Starting as a dull ache, I’d take a Motrin and it would diminish. I won’t let this ache slow me down. I can still walk over a mile for exercise. Then it was walking on a treadmill for exercise only once or twice a week. I needed time to recover from the pain. When it was such that I couldn’t use the treadmill, the stationary bicycle had to suffice. I’m only 55 and my doctor says my hip joint is severely worn. Motrin isn’t working any longer. I can’t go on a vacation and enjoy my family time because I can’t walk. When can I get my life back? Hip replacement didn’t exist for our grandparents as an option. It became a reasonable option in the 1980’s for our parents but the techniques involved long incisions with long hospital stays and long recoveries. What has changed so that I should consider hip replacement surgery? Hip techniques and implants have gone through an ongoing evolution of change. Naturally, some techniques have fallen by the wayside. The success on the whole of hip replacements has lead to industry wide improvements. The techniques that have shown to have better results over time get popularized as we continuously strive for better results. Nowadays, more than ever before, hip replacement surgery can have a good outcome for the ever younger patient and these advanced techniques are accessible in our community. Incisions in the 1980’s were 12 inches or longer. Hospital stays were over a week. Bone cement was used to bond the implants to bone. Muscle attachments were cut to get at the hip joint and wired or stitched back in place. Patients needed a brace to keep the hip from dislocating. Over time the cement would wear out. Patients under 55 had a high likelihood of component failure within five years because they were too active and the parts would wear out. Anterior approaches to the joint, that splits between muscle planes. Ceramic metal and high-density plastic interfaces. Titanium metal hip implants that bond to bone with porous metal eliminating bone cement. We can now even make hip incisions that can be as little 3-4 inches long (who’s looking?). 1. Ask what techniques are best for you. 2. Ask how long has your surgeon been doing hip surgery and where were they trained. 3. Ask if there is any controversy involving the implants that are being used. 4. Ask how long will it take to walk without a limp. Ask how long the parts will last. 5. Make sure your surgeon will spend the time to talk to you and answer all your questions.